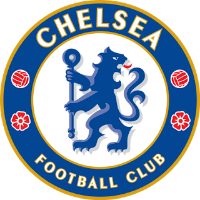 Follow live Chelsea vs Everton online from Stamford Bridge. Live score updates off the Premier League match held at Vicarage Road. Chelsea vs Everton live kick-off is set for 2:15PM BST. Keep following along for live scores from VAVEL UK. That though brings an end to our coverage of the game between Chelsea and Everton. I have been Brandon Sayer taking you through the game. I hope you have enjoyed our coverage, but until next time, have a good evening. In the end, the result was fair as Everton played really well during the game. Chelsea did improve in the second half but Pickford showed his class once again in the Everton goal. 90+6' - The referee blows his whistle to end the game. Chelsea 0-0 Everton. 90' - The referee has decided to add on five minutes at the end of the second half. 89' - Everton substitution: Richarlison is replaced by Dominic Calvert-Lewin. 87' - Morata receives a yellow card for showing dissent towards the referee. 82' - Chelsea substitution: Kovacic is replaced by Ross Barkley. 76' - Everton substitution: Sigurdsson is replaced by Phil Jagielka. 73' - Hazard almost gives the hosts the lead a moment later after a ball through from Kovacic found the Belgian but his strike just went wide of the goal. Pickford also received a yellow card for time wasting. 72' - Goal no offside! Morata thinks that he has given the hosts the lead but he was flagged offside after a great cross was turned into the net by the striker. 68' - Chelsea substitution: Willian is replaced by Pedro. 65' - Off the post! Chelsea are now on top in the game as Alosno's fierce strike from just inside the box hits the post with Pickford beaten in nets. 65' - Chelsea substitution: Jorginho is replaced by Cesc Fabregas. 64' - Everton substitution: Bernard is replaced by Ademola Lookman. 61' - Hazard forces Pickford into a good save from a long way outside the box. 60' - Chelsea go down the other end and almost score as Willian was played through by Jorginho but his shot just went wide of the goal. The came is starting to open up. 59' - What a chance for Everton! A brilliant ball into the box from Sigurdsson finds Bernard at the back post with the goal at his mercy but poor control sees the chance go begging. 56' - Everton finally have a shot on target as Kepa easily saves a long range strike from Sigurdsson. 46' - Pickford once again denies Chelsea from taking the lead as Morata's volley from a Hazard cross was destined for the back of the net. 46' - The referee blows his whistle to begin the second half. Game on! Well their was not much goalmouth action in the first half but it has been a very fiesty game indeed with five yellow cards being shown in the first 45 minutes. Marcos Silva will be happier of the two managers with how his side have played. Chelsea will need to up their game in the second half. What will happen? Stay tuned as bring it to you live in a few minutes time! 45+3' - The referee has blown his whistle for half-time. Chelsea 0-0 Everton. 45+2' - The referee has issued yellow cards for Bernard and Rudiger for an off the ball incident. 45' - The referee has decided to add on three minutes at the end of the first half. 40' - What a save from Pickford! David Luiz played a great cross into the box which found Alonso who smashed a volley towards goal which Pickford managed to somehow keep it out of the net. Finally a shot in target in the game! 33' - Kante receives a yellow card for a late tackle on Richarlison. There seems to be some needle in this game so far with a few tackles flying in. 28' - Jorginho receives a yellow card for a late tackle on Sigurdsson. 23' - Alonso took the free-kick and curled the ball just wide of the goal. 23' - Yerry Mina receives the first yellow card of the game for a foul on Eden Hazard. Chelsea have a free-kick in a very dangerous position as the result of it. 20' - The game has gone a bit scrappy in the last five minutes as both sides are guilty of not holding onto the ball long enough. 12' - Bernard's effort from the edge of the box just flies wide of the goal. The Toffees are really trying to get at the hosts in the early stages. 3' - Everton have started very brightly here at the Bridge with a dangerous corner from Bernard evading all of the Everton players and going just wide of the goal. 1' - The referee blows his whistle to begin the game. Game on! Chelsea substitutes: Caballero, Christensen, Zappacosta, Fabregas, Barkley, Pedro, Giroud. 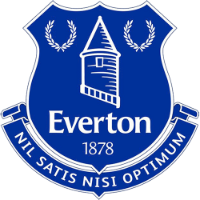 Everton substitutes: Baines, Jagielka, Tosun, Stekelenburg, Davies, Calvert-Lewin, Lookman. Chelsea starting XI: Kepa, Azpilicueta, Rudiger, Luiz, Alonso, Jorginho, Kante, Kovacic, Willian, Hazard, Morata. Everton starting XI: Pickford, Coleman, Mina, Keane, Digne, Gueye, Gomes, Bernard, Sigurdsson, Walcott, Richarlison. Join us from around an hour before kick off for confirmed starting XIs. As for team news for the visitors, they will definitely be without Chelsea loanee Kurt Zouma so will have to reshuffle at the back. The obvious replacement is summer signing Yerry Mina who is yet to make his full competitive debut for his new club. He played 90 minutes in the midweek friendly win over Kenyan champions Gor Mahia but Silva remained tight lipped about his status for the weekend. Recently recovered from injury Eden Hazard is fit again and played over an hour in Belarus and could start this game from the bench. Midfielders Cesc Fabregas and Rebuen Loftus-Cheek have their own ailments and are doubtful. Barkley was part of the strong Chelsea side that picked up a 1-0 win away to Bate Borisov in the Europa League on Thursday night meaning that Sarri is likely to rotate somewhat for this game. The midfielder is yet to return to Goodison Park but isn’t expecting the warmest of receptions from the boisterous away following of the Toffees. Barkley told Sky Sports that he doesn’t think the reception will “will be the best,” but that he is “excited” to play against some former team mates. One key storyline surrounding the game is the fact that Ross Barkley will finally line up against his former club. The former Everton midfielder joined Chelsea last January for £15 million after a £35 million move in the summer prior fell through. Everton have already travelled to two of the ‘top six’ and fell to two defeats. Compared to recent visits, however, they have played better and given themselves a chance at three points but will have to be at their very best to take something away from a ground where they have lost their last six of their last seven games. The trip to Stamford Bridge for Silva’s side is another step in an increasingly difficult set of fixtures but the Portuguese boss has belief in his team being able to take something from the game. The Toffees recently had their three-game winning streak snapped away to Manchester United but got back to winning ways last weekend at home against Brighton and Hove Albion. A brace from Brazilian forward Richarlison, who is a doubt for this game, put the Blues back in the win column. Opposite the former banker this weekend and looking to break that dreadful record is Marco Silva. Silva’s men have gotten off to a decent start this season, winning five of their opening 11 games under their new boss. Maurizio Sarri’s men have history on their side in this fixture as the Blues have not lost to Everton at home in the Premier League since the 1994-95 season. Chelsea are off to an unbeaten start this campaign, winning eight of a possible 11 games. They’ve drawn the other three but are looking to stretch their current winning run to three games. Last time out they picked up a 3-1 win over Crystal Palace thanks to a brace from Alvaro Morata and another goal from Pedro. 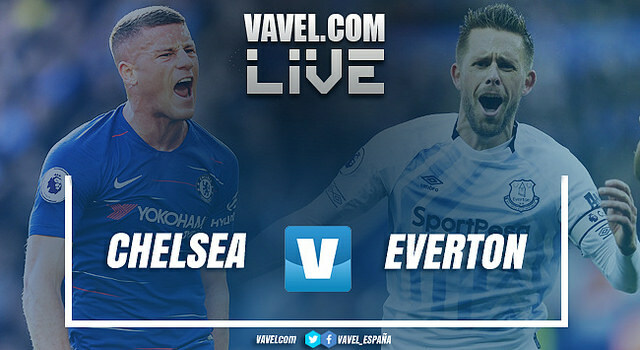 Hello and welcome to VAVEL UK’s live coverage of the Premier League as Chelsea play host to Everton at Stamford Bridge. I’m Brandon Sayer and I'll be doing my best to keep you updated with all the latest action from this Sunday afternoon meeting. Kick-off is set for 14:15 GMT, but stick around for some pre-match build-up.